Ricky the Rabbit has hidden his eggs in Peddler’s Village again! Come hop through the Shops at Peddler’s Village at our SHOP HOP BUNNY TRAIL on April 20, 3-5 p.m.! 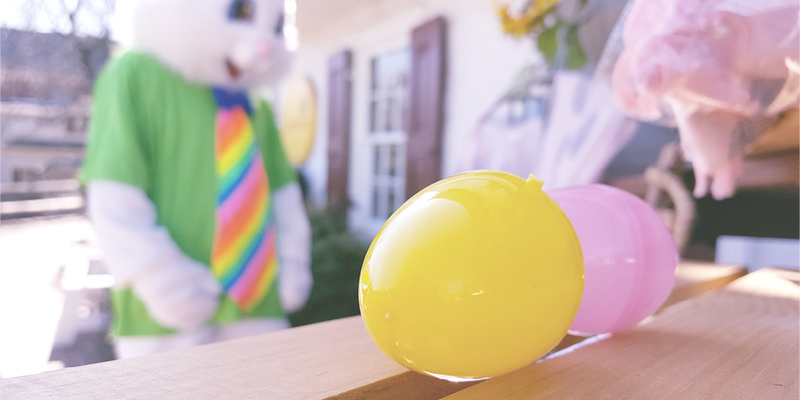 Collect eggs at participating shops and return them to Ricky the Rabbit in the Main Green Gazebo for prizes & candy! Post your pics with Ricky to Facebook or Instagram tagged with #pvshophop to be entered to win a Peddler’s Village gift card!